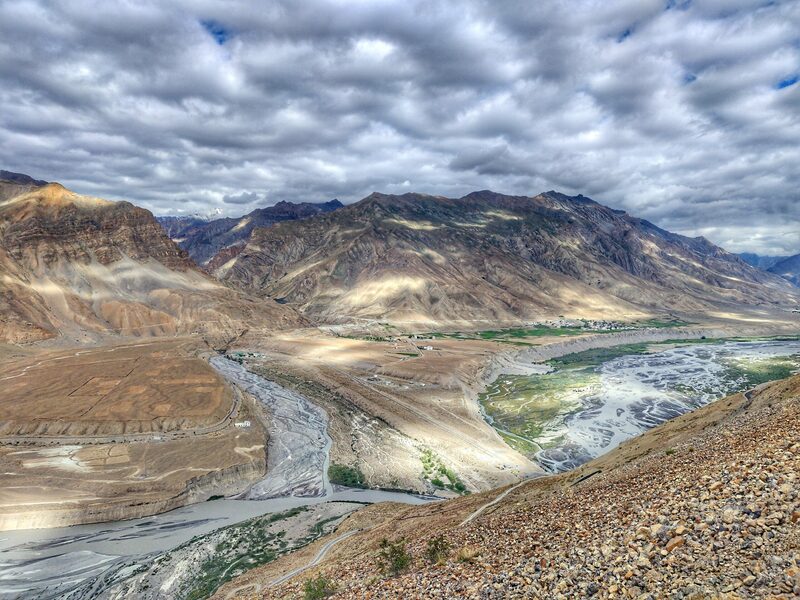 Dhankar Village is a large high altitude village which used to be the capital of the Spiti Valley. 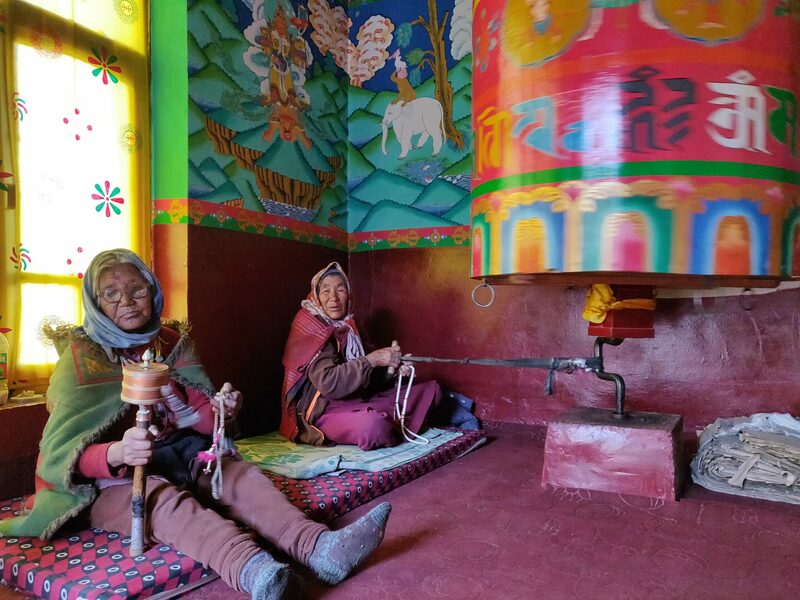 It is at an altitude of 3,894 metres above sea level, between the towns of Tabo and Kaza. 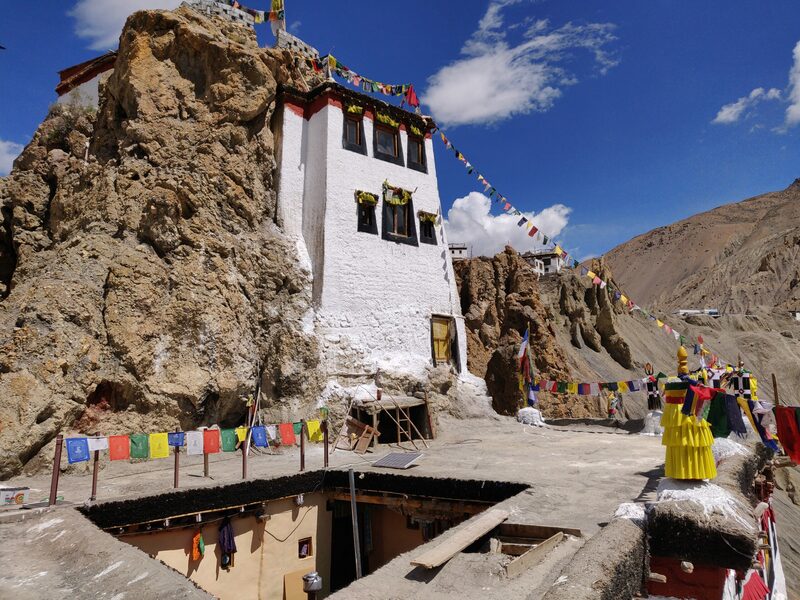 Above the village sits the local monastery - the Dhankar Gompa. 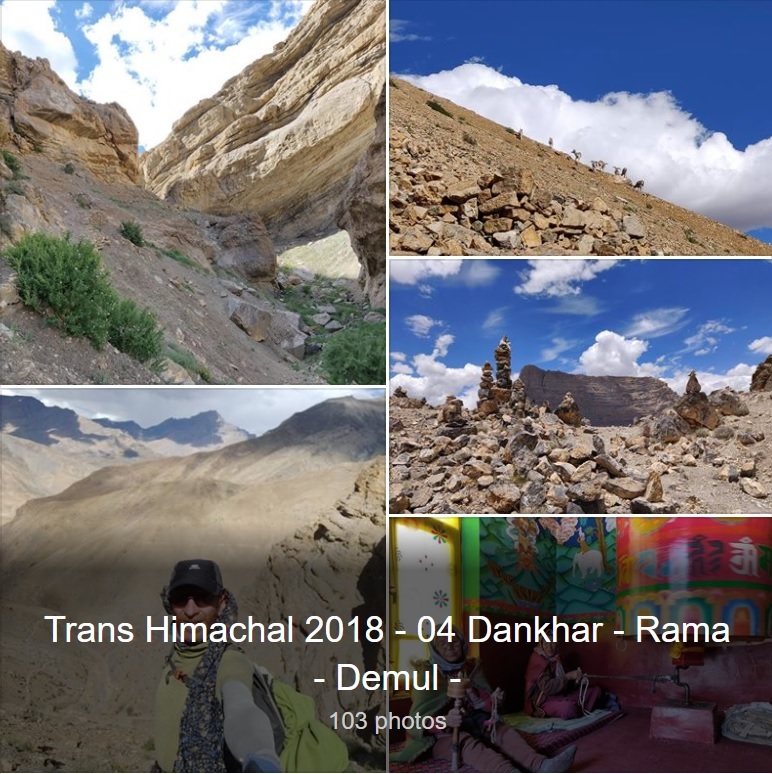 The trail which climbs up from Lallung and Rama towards Demul traverses through a narrow, steep gorge till you reach the lush green farm fields of Demul. 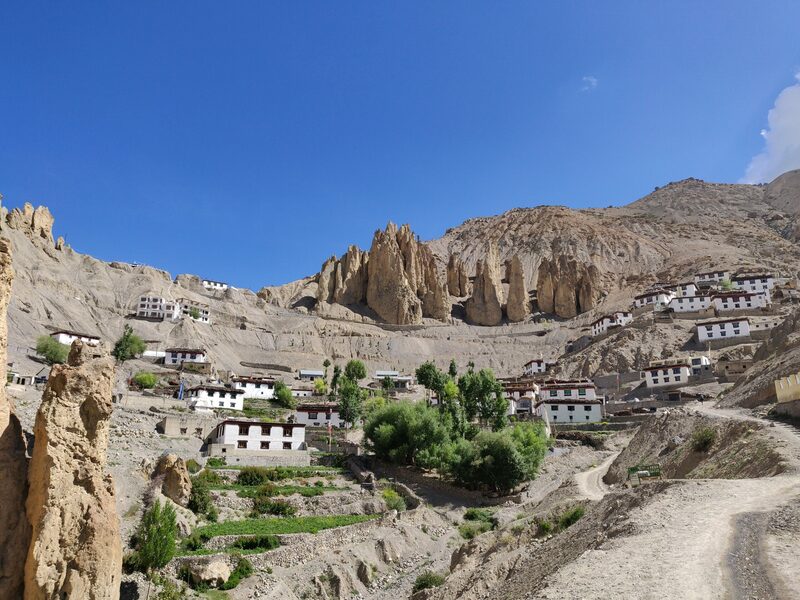 Remote village at 3550m altitude surrouned by green plantations located above a steep gorge overlooking the Spiti valley. Demul is connected by a dirt track road to Hikkim. 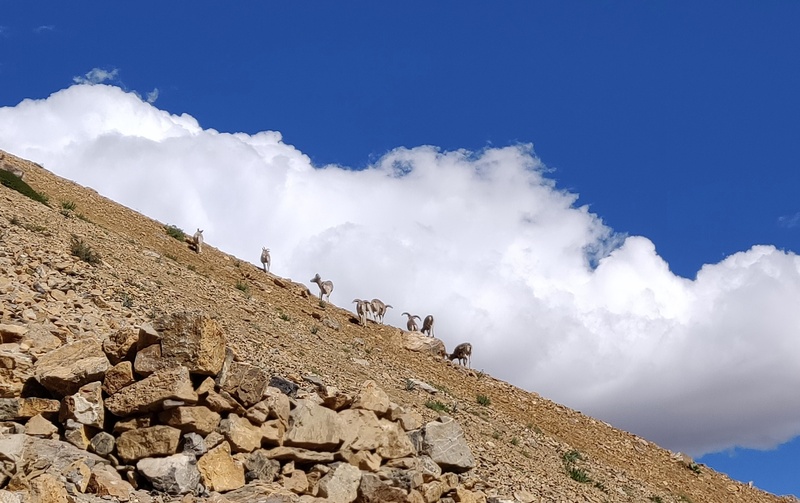 A herd of Ibex (wild mountain goats) running away while climbing up to Demul village. From Demul village a jeep dirt track connects to Hikkim. 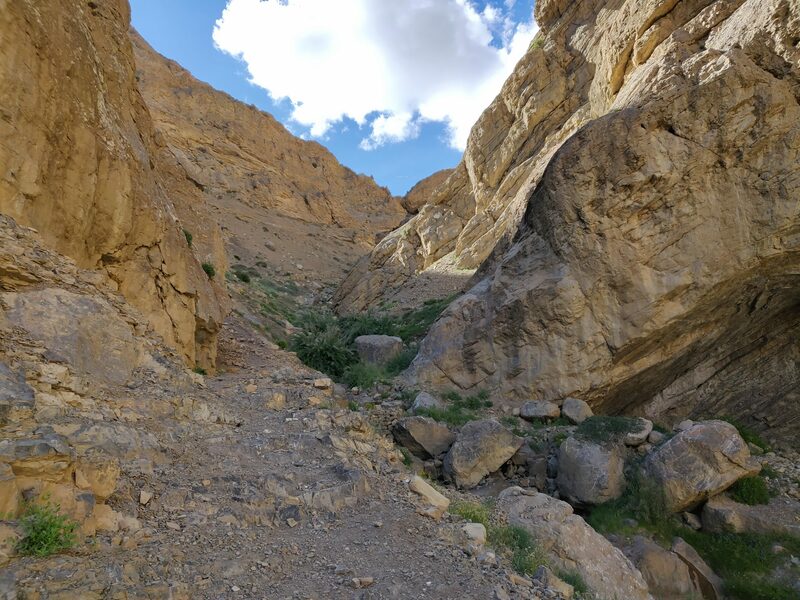 Instead one can also climb up along a trail through an unknown pass (4770m) which further connects to the same jeep track. 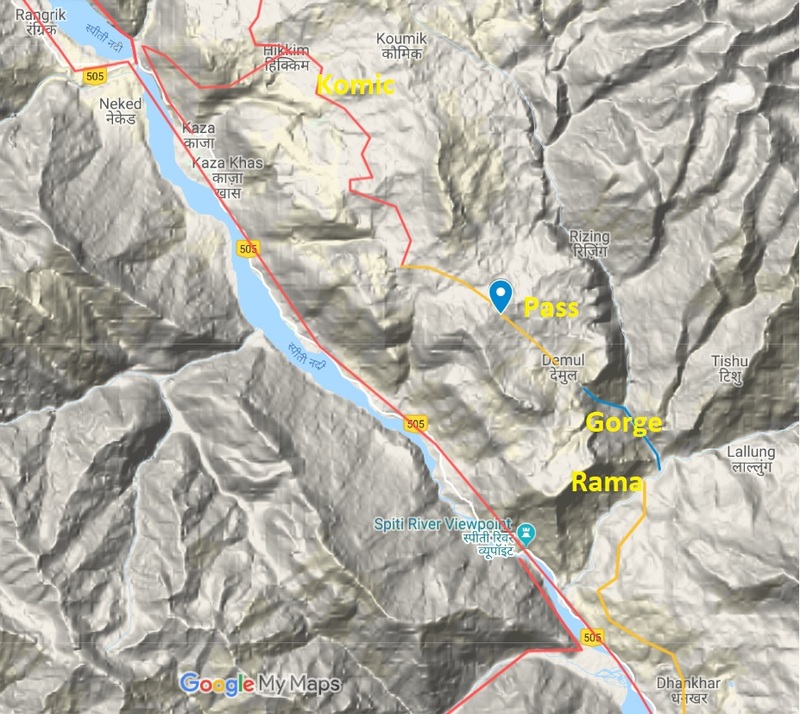 A 3-4 hour steady walk with stunning views on the valleys below eventually leads to Komic Gompa.